In 2014, I bought a FitBit bracelet. Since I’m someone who responds to tangible goal-setting, it was an awesome addition to my wellbeing routine, and allowed me to make accomplishments each and every day. For the almost two years that I had it (until losing it, like the idiot I am), it helped me stay on top of fitness goals I never knew I needed, like walking a certain number of steps every day. This past week, I’ve been following the launch of the Spire Health Tag, a new wearable device in the same mould of FitBit and Garmin products. But, unlike products from those competitor brands – which track heart rate, steps, hours slept, etc. – Spire’s new offering also monitors stress and anxiety levels, as well as breathing patterns, and send sporadic notifications to go for a walk around the block, or take deep, slow breaths, when one’s wellbeing is not at optimal levels. In considering the rapid evolution of wearables over the past few years, my initial impression is that such fitness and stress trackers are a brilliant addition to the bevy of self-care options we have at our disposal. This new device from Spire seems particularly cool for people like me. I’m a guy who likes being able to quantify what I’m doing; whether it be personal or professional, wearables appeal to me. They serve as a physical reminder of what you need to be doing to look after yourself, and where you might need to put in more effort. Everyone who works hard and often can’t find enough time in the day for self-care can benefit from strategies that force you to pay attention; this applies both to teenagers in high school who are stressed about exams, and working professionals whose days at the office never seem to end. If, as I hope, wearable stress trackers continue to improve and offer greater health benefits, we could soon see a device that can serve as a counsellor or coach of sorts, buzzing your phone a couple of times a day to let you know that you’re more fatigued than you were last week, or that you need to leave the office if you are to lower your stress levels before bed time. One potential issue for consumers is how dependent upon technology one may need to be. Over-reliance on our phones and computers is a contributing factor in depleted wellbeing and sleep quality, and adding another tech item to the fray may not seem a wise solution to all. But the question then turns to how diligent are you with disconnecting – literally and metaphorically – from your screens. If you are setting practical targets for usage and engagement (such as ensuring you’re off all devices at least an hour before bed), you have a better chance of not having those habits become problematic. Ultimately, it comes down to the individual, and how well you respond to such stimuli. 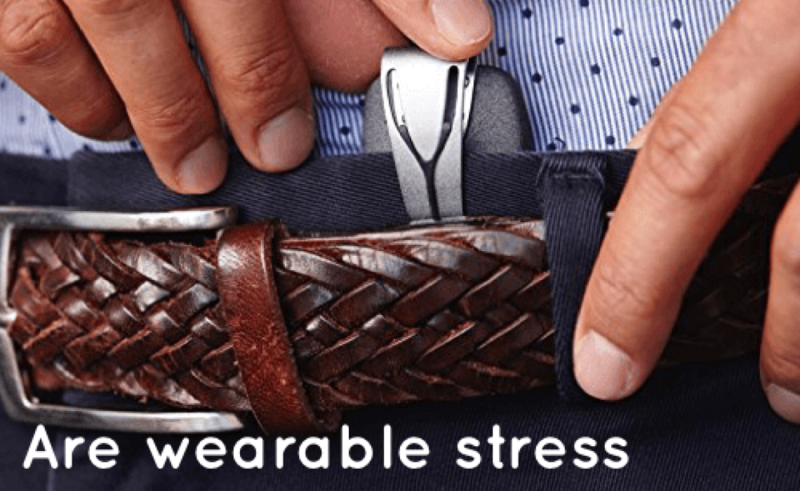 For the time-poor and high-functioning among you, however, you may just find that wearables like the Spire Health Tag are what you’ve needed all along – a convenient, low maintenance option to monitor your holistic wellbeing in ways you are otherwise unable to do. We don’t always have someone in our lives telling us whether we’re getting enough sleep, or are overly anxious, whether it be a teacher, boss, parent or partner. Being reminded of our need to do so – through scheduled and sporadic reminders – may just be what you need to get into gear.